Aromatic basil, the King of the herb garden. Famous for making Italian pesto and flavoring vegetables and fish. The perfect herb for any tomato based dish. Some varieties are equally at home in the flower border and can be used as cut flowers. 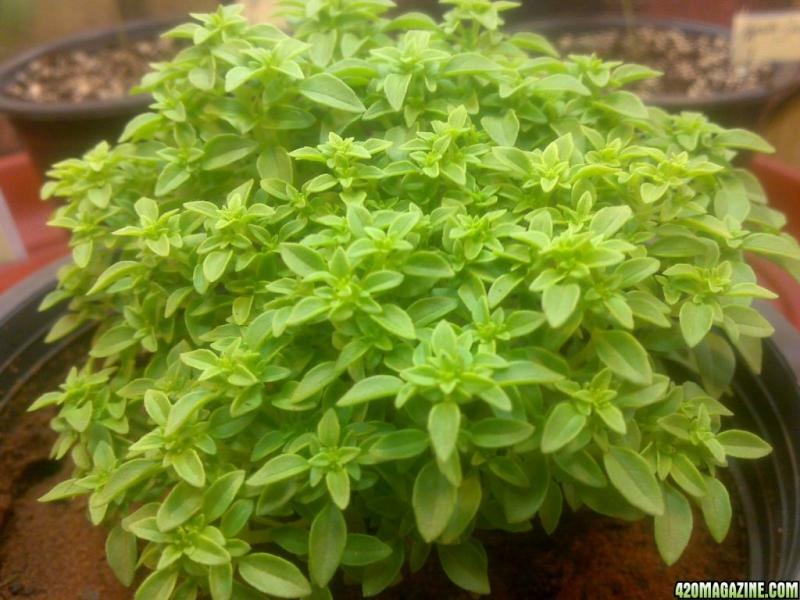 This small leaved spicy bush basil produces a small aromatic plant suitable for growing in pots. With distinctive classic basil scent very much used in Greek cuisine. Vibrant tiny green leaves up to 1/2" long with beautiful white flowers - a gorgeous ornamental plant which is often found in pots as a central table decoration in Greek restaurants to keep flying insects at bay. Great sprinkled in fresh tomato salad dishes and spicy tomato sauce, WOW ! !